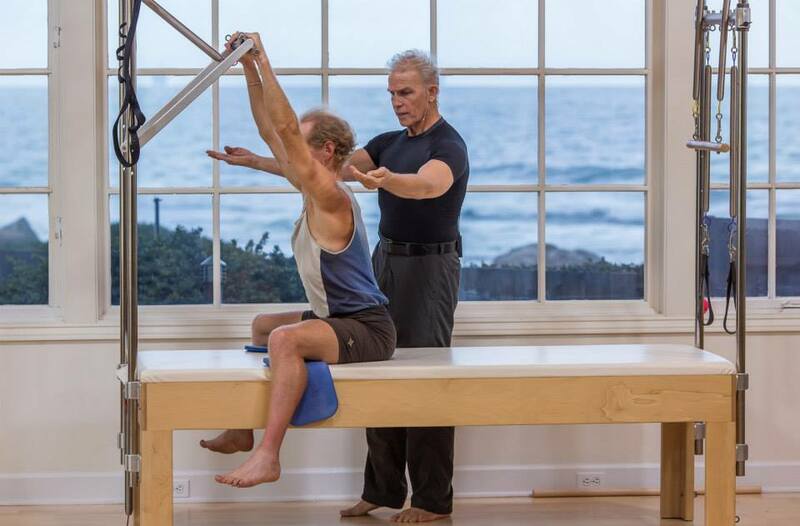 Ken Gilbert has practiced Body Contrology (Pilates) since 1994; he is a 1st Generation Teacher of The Ron Fletcher Work™ (now Fletcher Pilates) which established Ken as a 2nd Generation Teacher of Joe Pilates. 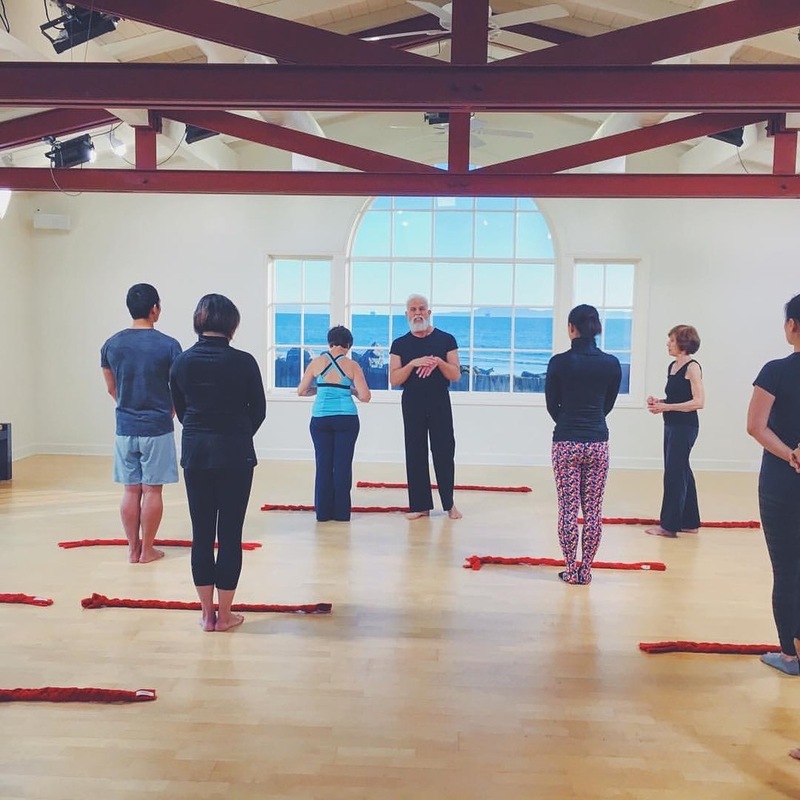 Currently, Ken teaches "Integrating Pilates" Classes (listed below as Your PRACTICE) at theSPACE, The Dance Hub, Santa Barbara DANCE ARTS and CenterPoint Pilates. He is also featured as a Visiting Instructor on the Pilates Anytime website (photos on this page from Pilates Anytime 2013 - 2015). Stimulating Nia’s Five Sensations of the seventh joint: moving the Core of the Body (Pelvis, Chest, and Head) with Flexibility, Agility, Mobility, Strength and Stability. 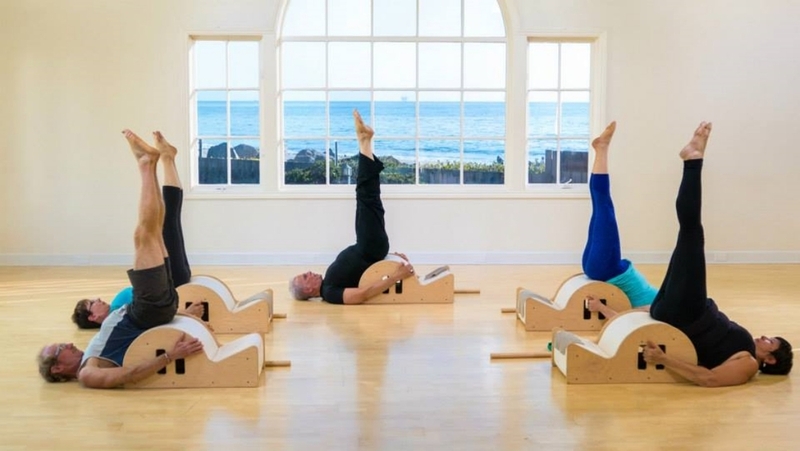 In the practice of INTEGRATING PILATES we work from a point in the spine at the base of the sternum (anterior) and the lowest rib (posterior) – the “CenterCore”. This is the location from which all integrated movement of the spine is initiated and/or stabilized. In becoming aware of this point the movements of the legs, arms, and neck/head are continually engaged with dynamic ease to allow the spine to move efficiently through five joint actions: forward flexion, extension, lateral flexion, rotation and circumlocution. A Study and Practice of Spine Mechanics and Appendicular Integration: Body | Mind | Expression. In the application of the core philosophy of ken gilbert | EMBODYMENT - Aesthetic Anatomy - the study and practice of each student is revealed and evolves as to the focus and intention of the student. These classes are based on the classic Mat and The Ron Fletcher Work™ Towelwork where we work standing and on the floor. Currently at The Dance Hub (check Class Schedule). 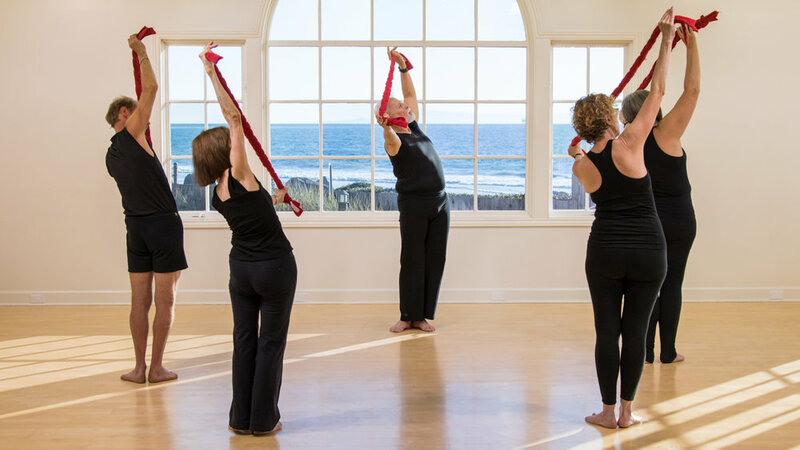 This class is facilitated using the "Clara" Spine Corrector apparatus created by Joe Pilates. We activate the 5 Primary Joint actions of the Spine while being supported by the "Lip", "Crevasse" and "Arc" of the Corrector. Taught at theSPACE on Victoria Street (22 East Victoria Street - street front).